After the recent death of King Bhumibol Adulyadej (ภูมิพลอดุลยเดช Phumiphon Adunyadet [pʰuː.mí.pʰon ʔà.dun.já.dèːt], 1927–2016) of Thailand, who was the longest reigning monarch in the world, Crown Prince Vajiralongkorn (วชิราลงกรณ Wachiralongkon [wá.ʨʰí.rāː.lōŋ.kɔːn], born 1952) is expected to be crowned the next king after a period of mourning. In 26 April 2005, the 62nd Council of the Joint Committee of the Government and Press on Loanword Review (정부·언론 외래어 심의 공동위원회) decided that ‘Maha Wajiralongkorn’ (including the title มหา Maha meaning ‘great’) should be written 마하 와찌랄롱꼰 Maha Wajjirallongkkon in Korean. However, according to the Loanword Transcription Rules (외래어 표기법), which added rules for transcribing Thai into the Korean alphabet in 2004 (the year before this decision), the correct transcription of วชิราลงกรณ Wachiralongkon in Korean would be 와치랄롱꼰 Wachirallongkkon. On 14 October 2016, hours after the original Korean version of this post was published pointing this out, the National Institute of the Korean Language corrected this entry. Now it reads that ‘Maha Wachiralongkon [Maha Vajiralongkorn] มหาวชิราลงกรณ’ should be written 마하 와치랄롱꼰 Maha Wachirallongkkon in Korean. The Loanword Transcription Rules for Thai maps the Thai aspirated affricate ช ch /ʨʰ/ to Korean ㅊ ch /ʦʲʰ/. On the other hand, the Thai unaspirated affricate จ c /ʨ/ is mapped to Korean ㅉ jj /ʦʲ/ (the Royal Thai General System of Transcription writes both ช and จ as ch, but since they are distinguished in Korean transcription I have written the latter as c). Thai features a three-way distinction in stops between the voiced series, the aspirated series, and the tenuis series. For example, บ b /b/ is voiced, ผ ph /pʰ/ is aspirated, and ป p /p/ is tenuis (voiceless and unaspirated). Korean also features a three-way distinction between the plain (or lenis) series, the aspirated series, and the tense (or fortis tenuis) series. For example, ㅂ b /b/ [b, b̥] is plain, ㅍ p /pʰ/ is aspirated, and ㅃ pp /p/ is tense. So the transcription rules map Thai บ b, ผ ph, and ป p to Korean ㅂ b, ㅍ p, and ㅃ pp respectively. By contrast, English and most well-known European languages have only two-way distinctions in stops, usually characterized as voiced versus voiceless (even though the distinction might not be strictly one of voice for many such languages). For example, English only has voiced ‘b’ /b/ and voiceless ‘p’ /p/. English voiceless ‘p’ is usually aspirated at the start of a syllable, as in ‘pie’ [pʰaɪ̯], but is unaspirated in the combination ‘sp’, as in ‘spy’ [spaɪ̯]. So ‘pie’ is พาย phai in Thai with the aspirated stop ph (for which there are actually several letters in Thai: ผ, พ, ภ), while ‘spa’ is สปา sapa in Thai with the tenuis stop p. In these loanwords from English, Thai is making phonetic distinctions that English speakers don’t even realize that they are making—for English speakers, there is just the single sound ‘p’, and they are trained to hear the aspirated [pʰ] in ‘pie’ and the unaspirated [p] in ‘spy’ as the same sound. Thai speakers, meanwhile, will hear that the former is closer to their ph and the latter to their p, and transcribe them accordingly. Korean could have chosen the same route.  However, Korean does not write *스빠 seuppa for ‘spa’ and *스빠이 seuppai for ‘spy’, but 스파 seupa and 스파이 seupai respectively, using the same aspirated ㅍ p as in 파이 pai ‘pie’. This is because Koreans chose the phonemic approach in transcribing loanwords, where the distinctions are made based on the phonemes of the original language—the units of sound whose distinctions are meaningful for the speakers of the language. Since /p/ is a single phoneme in English whether it is pronounced [pʰ] or [p], Koreans map it to ㅍ p regardless of what it sounds like in each individual case. The system chosen in the Rules for Loanword Transcription, which was introduced in 1986, was that voiced stops and affricates are mapped to the plain consonants in Korean, while voiceless ones are mapped to the aspirated consonants. The Korean tense stops ㄲ kk, ㄸ tt, and ㅃ pp were to be left unused in transcribing foreign languages. In many cases, this led to a divergence between the official forms and forms that were commonly used. Paris, pronounced [paʁi] in French, was to be written 파리 Pari, but many people continue to write and say 빠리 Ppari since the French [p] is unaspirated and sounds like Korean tense ㅃ pp. There continue to be proponents of using the tense series to write unaspirated voiceless stops in languages such as French, Spanish, Italian, and Russian (with the interesting politically tinged complication that North Korea uses a more phonetic approach in transcribing foreign names, e.g. writing 빠리 Ppari for Paris). These tend to argue for single languages, however, and are silent on how to treat less familiar languages (to Koreans) like Albanian, Maltese, Nahuatl, or ones that are no longer spoken like Akkadian. Adopting a single general rule for treating voiced–voiceless distinctions in the source languages allows one to avoid getting bogged down in the phonetic details for such difficult cases. When rules for transcribing Thai, Vietnamese, and Malay/Indonesian were added to the Loanword Transcription Rules in 2004, for the first time, the Korean tense series was employed to write unaspirated stops and affricates in Thai and Vietnamese. Unlike the languages that had been covered so far which had two-way distinctions at most, Thai and Vietnamese had three-way distinctions that lent themselves to a straightforward mapping to the three series in Korean. In the future, it is possible that the Loanword Transcription Rules could be expanded to include a similar approach for other such languages not covered so far, such as Lao (which is a close relative of Thai), Khmer, Burmese, Tibetan, and Georgian further afield. While Thai has the three-way distinction for labial (b, ph, p) and alveolar (d, th, t) stops, it lacks the voiced sounds for the velar stops (kh, k) and the affricates (ch, c). There is no voiced g /ɡ/ or j /ʥ/ in Thai. So the corresponding letters ㄱ g and ㅈ j in Korean are not used write initial consonants in Thai. The only choices available for Thai affricates are ㅊ ch and ㅉ jj. Back in 2005, the Joint Committee seems to have considered just the romanized name Vajiralongkorn and not the original Thai spelling while deciding how to write it in Korean. They knew that ‘v’ was a common romanization for the sound /w/ in Thai, so they just respelled it as ‘Wajiralongkorn’, assumed the ‘j’ stood for the sound mapped to Korean ㅉ jj (since ㅈ j wasn’t available for transcribing Thai), and came up with 와찌랄롱꼰 Wajjirallongkkon. Then why is the romanized name so different from the Thai pronunciation? Thai proper names often contain elements from the ancient Indian languages of Pali and Sanskrit, which were used in Buddhist scripture. Historically, Indian culture has exerted a huge influence on Southeast Asia including Thailand. The name วชิราลงกรณ Wachiralongkon is a combination of วชิร wachira and อลงกรณ์ alongkon. The former is none other than the Pali word वजिर vajira written in Thai letters. This in turn comes from Sanskrit वज्र vajra and means ‘diamond’ or ‘thunderbolt’. As alongkon means ‘decoration’, Wachiralongkon means something like ‘diamond decoration’. Depending on when the Pali and Sanskrit terms came into the Thai language, the pronunciations have undergone some changes. For instance, original voiced sounds may have turned into aspirated sounds as in *b > pʰ. These sorts of natural sound changes account for the fact that Pali vajira turned into Thai wachira. But in romanizing Thai names, there is a tendency to spell the Pali or Sanskrit elements according to their original pronunciations instead. That is why ‘Vajiralongkorn’ is used instead of ‘Wachiralongkorn’. Meanwhile, ‘-korn’ is a spelling to indicate that -กรณ -kon has a long vowel, based on non-rhotic English pronunciation. There is no ‘r’ sound in the original name. The name of the late king, ภูมิพลอดุลยเดช Phumiphon Adunyadet, similarly is written Bhumibol Adulyadej due to the etymological spelling. This name comes from Sanskrit भूमिबल अतुल्यतेज bhūmibala atulyatēja meaning ‘strength of the land, incomparable power’. Because of this common practice of etymological spelling in romanizing Thai names, one has to take extra care to verify the original Thai spelling and pronunciation when transcribing Thai names into Korean. Next Post How do you write Ngũgĩ wa Thiong’o’s name in Korean?